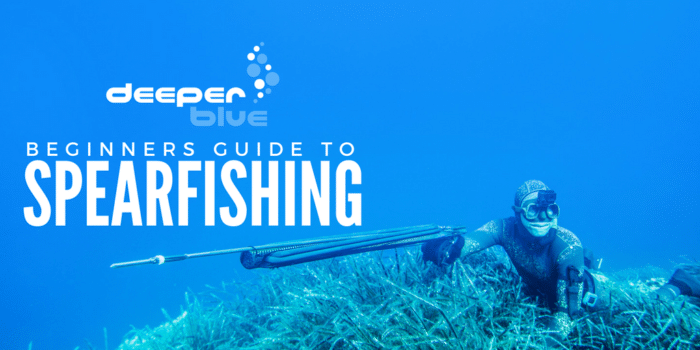 If you want to shoot bigger and better fish, but you don’t have a boat, or the experience to find fish, or friends that do and are willing to take you under their wings, a spearfishing charter boat is probably a good idea. There were no dive boats running in the Gulf in 1972 after I got scuba certified, so I went on a couple charters on big head boats designed for 3 to 4 dozen anglers. The captains didn’t dive and didn’t know what to do for divers. Fortunately, I worked with some older guys, who were spearfishermen and boaters, that could read their early red flasher depth finders, and knew when they were on hard bottom. With skill and some luck, they found big 5 to 10-foot ledges, mostly on the 10-fathom line offshore from St Pete. It took a lot of time gearing up with scuba to check for grouper, snapper, and hogfish, so following a dive with nothing but bait and tropical fish, there was a lot of cussing going on! When they saw me skin dive to these depths and report my findings, I became an indispensable member of the team! But my mentors did not allow “the human fish finder” to carry a speargun while scouting. The first real dive charters were 6-pack boats with Operator of Uninspected Passenger Vessel (OUPV) captains, licensed only for 6 divers, most of which were spearfishermen. USCG inspected charter dive boats eventually arrived, which had tank racks and platforms with ladders. These big boats were certified for 20 or more and were usually owned by divers, but they knew it was all about the numbers because 6-pack boats didn’t make any real money. They took any diver with a c-card and $20.00, so they became known as “cattle boats.” These boats survived in SE Florida and the Keys, but rarely anywhere else in Florida. Spearfishermen didn’t care for riding the bus, and diving with the horde. West coast dive sites are not big enough, even for non-spearfishing divers, so medium sized, 12-passenger certified boats came on the market. These were better, especially on weekdays when they were half full, but on weekends they were basically short buses, with twice too many divers. Florida East coast, Keys, and Dry Tortugas have larger reefs, but hunters still feel crowded underwater with more than 6 spearfishermen in the water at once. 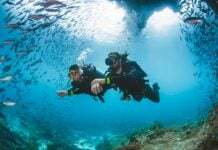 The typical scuba charter boat drops a whole load of divers on one site per tank, then repeats for the second tank, and it is game over, while the boat runs back to pick up their afternoon Double Dipper.  There are very few freediving charters out there, except classes, but they will become more available. Freedive spearos don’t want to spend their entire charter time on just a couple dive sites. Here’s the way many experienced private boat spearos dive, whether freediving or on scuba. 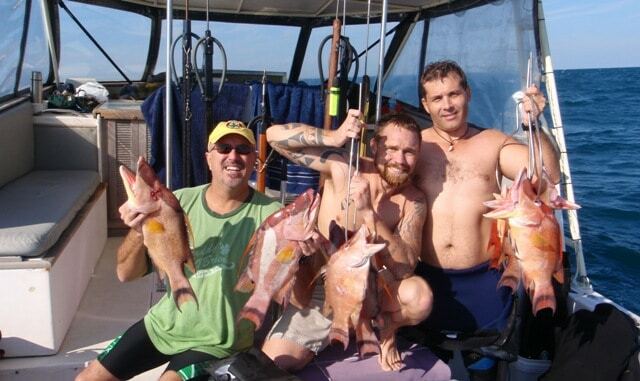 (And the best spearfishing charters do this too!) They make a few drops and stay only if there are fish. If no fish, they leave and hit a new spot. On scuba, they save all the air/gas possible, for another site or two. Why load up on nitrogen if fish aren’t going on your stringer? Usually, the boat splits into 2 teams, and they dive one team at a time, then switch. It’s great for surface intervals, warming up and resting. At a minimum, this doubles the number of dive sites, and sometimes good captains hit 6 or more sites, even on half day trips. I like to run full day trips, so divers get their monies worth, diving all day on 10 to 12 sites. Rarely does the boat anchor or tie off, and instead, it follows the dive team’s flag/float closely. With the numbers of divers on cattle boats, I’ve seen one dive boat trying to stay with a dozen dive flags, spread out nearly beyond sight. It can get scary with other boats cutting between so many divers and their dive boat. 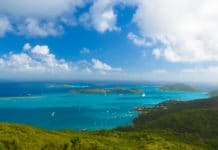 Here are some more things to look for in a charter boat. Being a diving instructor is also a plus. 6 divers maximum on day trips, and less if a liveaboard, depending on how many passengers the boat can sleep. Here’s a formula for comparing Boat Size (in square feet), per Diver (BS/D). Note: Bows & sterns taper, but it’s a good comparison and it doesn’t account for divers in the water. Length x Beam = TTL sq./ft. / # of Divers = B S / D.
Under 45 BS/D is too crowded, especially for scuba. My first boat was a brand new 20ft Aquasport in 1980, then upgraded to a 22-footer by the mid-80’s, which I repowered and extended to 24ft for the next decade. I really “needed a bigger boat” by the middle 90’s, and I got my dreamboat after Christmas 1995. After becoming a self-employed diving instructor in 2000, I decided to get my OUPV Captain’s license, and have since chartered most of the last 17 years, often offshore out to 100 nautical miles. Cubera is a fast 36 x 13.5-footer, as big as the 20 passenger boats, but carries only six divers, or sleeps four divers and two crew for liveaboard trips. Sun, rain and spray protection is important for all passengers, especially if it’s windy. When boats have large numbers of passengers the only available seating is usually sharing the hard bench seat where your dive gear is set up, and it’s usually out in the elements. Look for upholstered seating under the hardtop, as well as racks for all the tanks on scuba boats. Wide low platforms are great to have and a sturdy ladder and handrails so divers can get onboard easily, without waiting in a long line. Long lines of divers waiting for the only 2 entry points is unacceptable because it’s extremely slow and can even be dangerous. Spearos don’t want to be late getting in the water, so I added 2 side entry points to the 4 on the transom, so all 6 divers can make their drops immediately and they’ll be right on the dive site. 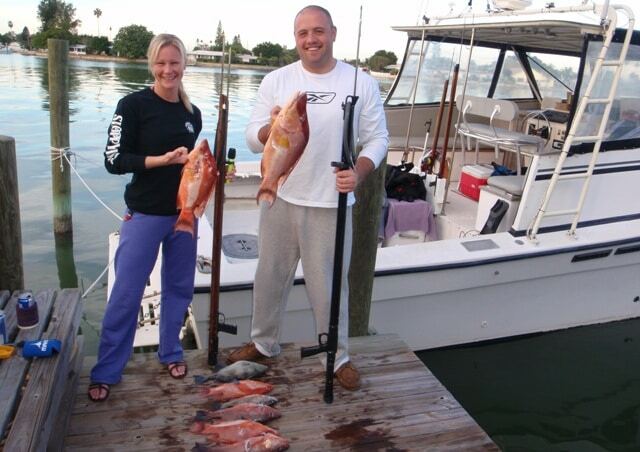 Spearfishing boats also need large coolers for icing down the fish, separate from the food and drinks cooler. I have three 162-quart Igloo coolers on the stern dive deck, for those purposes, and they are covered with padded insulating quilts, which 2 people can lay down on, or up to 6 can be seated. Many boats tend to stay close to their home docks because they can save a lot of money by running slow. Obviously underpowered boats can’t step it up, but some have the power but won’t use it. If you want to get to good spearfishing spots, that doesn’t happen by diving close to the inlet or pass. A full load of divers and gear can slow lots of boats substantially, but if the boat is designed to plain well, and has plenty of power, it can have a fast cruising speed and still be fuel efficient. I repowered my diesel boat with an upgrade to 500HP and she cruises fully loaded at 22 knots and tops out at 28 knots. 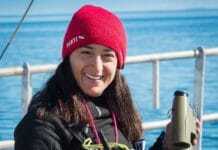 Being a Gulf of Mexico diver, I’m accustomed to running a minimum of 20 miles offshore, but usually more like 50 miles, or 100 miles or more on liveaboard trips. Since moving the boat to the east coast, I’m amazed to see charters that won’t run past 10 miles, because they think that think 6 or 8 miles is a long run! I have 150 nautical mile range, which is a 300-mile round trip, with a one third reserve fuel supply. For spearfishing, nothing beats a good sized, fast 6-pack boat!